Tan Bee Thiam has worked as a producer, director, writer, and editor. An alumnus of Berlinale Talents, Rotterdam Lab, and European Audiovisual Entrepreneurs (EAVE), he produced Daniel Hui’s Demons (Berlinale Forum 2019), Snakeskin (Award of Excellence, Yamagata IDFF 2015), and Eclipses (Pixel Bunker Award for International New Talent, Doclisboa IFF 2013); Lei Yuan Bin’s 03-FLATS (In Competition, Wide Angle Documentary, Busan IFF 2014) and White Days (Hong Kong IFF 2009); Liao Jiekai’s As You Were (International Competition, Torino FF 2014) and Red Dragonflies (Special Jury Prize, Jeonju IFF 2010); and Yeo Siew Hua’s In the House of Straw (In Competition, Bangkok 2009). His upcoming films include Glen Goei and Gavin Yap’s Revenge of the Pontianak, Lav Diaz’s Henrico’s Farm and Lei Yuan Bin's Tuition (Busan Asian Cinema Fund award). As a director, his works include Kopi Julia, one of 13 short films curated by Apichatpong Weerasethakul for the Sharjah Biennale. 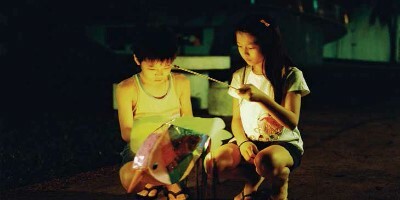 His co-directorial feature Fundamentally Happy, a film adaptation of the 2006 award-winning play by Haresh Sharma and Alvin Tan, was shot by Christopher Doyle and premiered at the Tallinn Black Nights FF 2015. He is currently in post production of his first feature film Tiong Bahru Social Club (Udine Far East FF Genre Project Market).